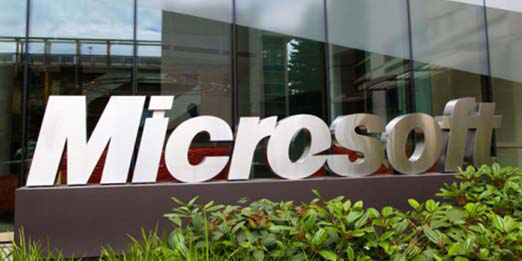 Technology giant Microsoft’s partner network officially launched the South African chapter of International Association of Microsoft Channel Partners (IAMCP) on October 26, 2016, which will enable the Microsoft community to combine initiatives and make unprecedented strides in the technology industry together. is a professional global association dedicated to assisting Microsoft partners, who are members, to develop and grow their businesses together. The association is organized into chapters who drive activities aimed at helping people and companies in the “Microsoft ecozystem” broaden their base of business opportunities within their own communities and around the world through partnering with other IAMCP members. The launch took place at Microsoft’s head office in Bryanston, Sandton, and enjoyed a good turnout from various Microsoft partners interested in ensuring the success of IAMCP South Africa, which will later be extended to include West, East, and Central Africa. While this is an international initiative, South Africa has never succeeded in establishing a chapter and leveraging off the business and economic development opportunities offered, explains Mint Group CEO Carel du Toit. To rectify this situation, the Microsoft Partner Network will host regular round-table discussions to drive empowerment and cross-skilling initiatives, find solutions to current industry challenges, leverage joint opportunities, and drive stronger growth and innovation across the tech industry. One of the main focus points identified during the kick-off meeting was the current skills shortage in South Africa’s math and science fields, notes Mint HR Executive Lauren Clark, adding that Microsoft partners are all running amazing initiatives with regard to internships, student funding and mentorship to help mitigate this challenge. She added that another exciting focus area forming part of IAMCP was the Women in Technology (WIT) platform, which enables collaboration and sharing with a global community of women and men that want to make a difference and bridge the diversity gap. Du Toit noted during the launch that, while some organisations refrain from partnership initiatives fearing loss of clients or competitor access to trade secrets, the world of technology has changed considerably, rendering partnerships as one of the most powerful tools to ensure holistic solution offerings, cross skilling and competitiveness through joint initiatives. He points out that Mint’s strong focus on partnerships over the last few years was the main driving force behind its unprecedented growth and expansion into international markets. Mint, which is a Microsoft gold partner, also introduced partnership initiatives, such as the Women in IT drive in conjunction with Pinnacle, and the Microsoft Partner Golf Day which has grown from 30 participants in 2013 to 110 in 2016, and highlights the willingness of Microsoft partners to network and collaborate. “IAMCP is about leveraging each other’s connections, references, networks, and capabilities to grow and strengthen your business – a near impossible feat when working in isolation,” du Toit concludes. Mint Group a global IT consultancy recognized as a top 1% global systems integrator. The organisation is also a member of the prestigious Inner Circle for Microsoft Dynamics and recruits best-of-breed global IT skills and capabilities with two of only 144 ALM Rangers and 1 of only 160 PCSA’s globally employed as part of the Mint Group of companies. As the dominant solutions provider to Africa’s financial services conglomerates, the company enables better business by digitally leading its clients through Customer Centricity with Dynamics 365, Employee Engagement with Office 365, Intelligent Insights with AI and Cognitive Computing, and Smarter Systems with Azure in the digital space. Mint worked very well with our company and responded swiftly to our requirements. We are very excited about the cloud journey we are embarking on with Mint and Microsoft. For us the attraction to work with Mint and Microsoft was that Mint has actually used and implemented these DevOps techniques so it comes down to putting the theory into practice and actually having learned some of those lessons, which we could then learn from. I think it was a good cultural fit between our organization and Mint. We’ve been empowered to focus on results while Microsoft Partner Mint took care of scoping requirements and managing roll out. It’s been a great collaboration migrating to Dynamics 365 and we hope to have a long-standing relationship in further digital transformation steps. Working with Mint has been one of my best moments. Sometimes we just call the guys and say, ‘Hi, we miss you, come back!”. The Mint team takes care of everything and enables us to work and focus. It’s been a great team and we hope to have a long-standing relationship with them. Purple Connexion contributes to happier customers. It does this by better managing customer communications and improved SLA adherences which leads to fewer complaints. It was a great experience to work with the efficient and friendly Mint team. They are very responsive and we enjoy this partnership. Mint has succeeded to take our product to the next level. We chose Mint as a partner because of their sound relationship with Microsoft, and they met all our requirements in terms of deliverables, objectives, and the culture fit. Also, we saw potential with future product offerings that Mint has. We digitally disrupted the traditional consulting services in the retail and property development sectors by providing a cost- and time-effective, automated solution with the help of the Microsoft platform that they [Mint] built for us. Hosting SAP on an Azure platform is a perfect fit from a cost and flexibility perspective, and we are very excited about the migration. We are very excited to walk this road of innovation with Azure, and start consuming additional services as they become available on the platform. For the first time, we have full control over our landscape.